Burgers at the Devil’s Peak Taproom has been on my foodie list for an embarrassingly long time! Last year I ticked off some serious goodies in the form of Superette, Tamboerswinkel, Beijing Opera, Hallelujah and finally just before I ran out of year – Devil’s Peak Taproom! My wanting to visit The Taproom was all about the burgers! George loves Devil’s Peak beer – you can almost always find a few Devil’s Peak beers in out fridge. So the great beer and burger combo was a serious winner for him. So much of a winner that when I mentioned to a few friends that we were interested in going we actually ended up being a group of 22 people. Ridiculous! I know! Part of the pull for the 22 of us was the great burger special! 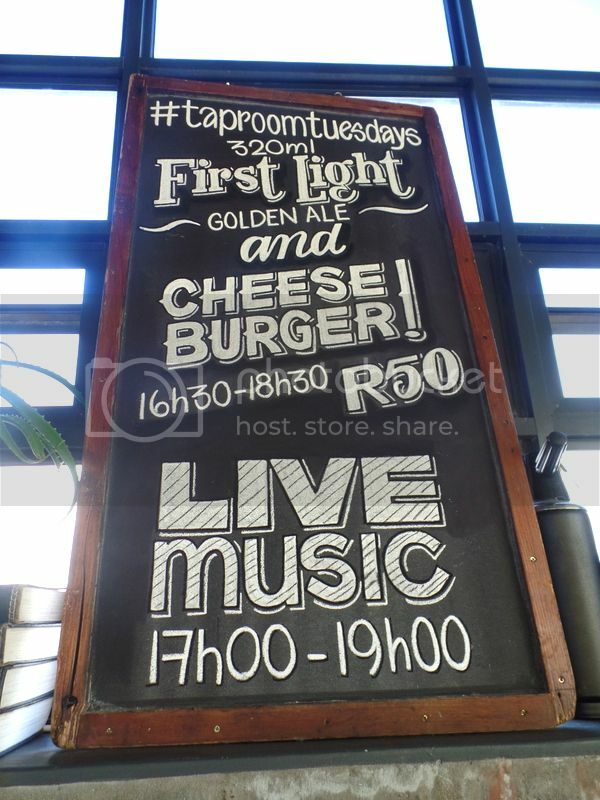 Tuesdays is all about Taproom Tuesday which has a cheese burger and a First Light golden ale for R50 between 4:30pm and 6:30pm. This is a seriously good deal considering the cheese burgers alone are normally R72! We booked for an early dinner at 6pm and got our orders in quickly! A group of 22 is kind of crazy but our waitress seriously pulled it off. Drinks arrived quickly, burgers were passed down the table at lightning speed and follow up orders were efficient. We were very impressed with the service and their ability to handle a large group. Don’t hesitate to book a giant table for a birthday or any large group celebration – Devil’s Peak Taproom has you handled. Your burger beer combo comes with the First Light Golden Ale. This beer is light, refreshing and very moreish. 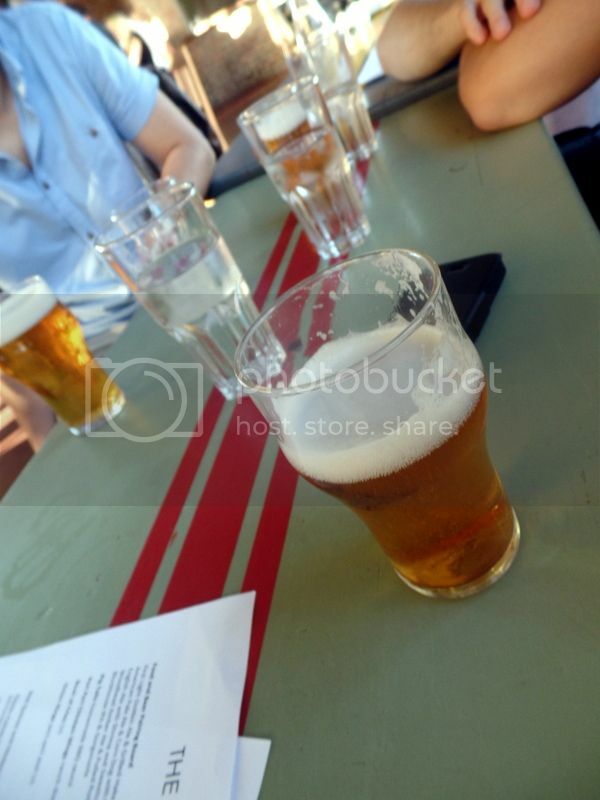 It’s a very satisfying beer and is perfect for session drinking on a hot day. Once you’re finished with your First Light make sure to check out their other beers on tap. We are particularly partial to their Block House IPA. But with eight options to choose from you shouldn’t struggle to find your own favourite! 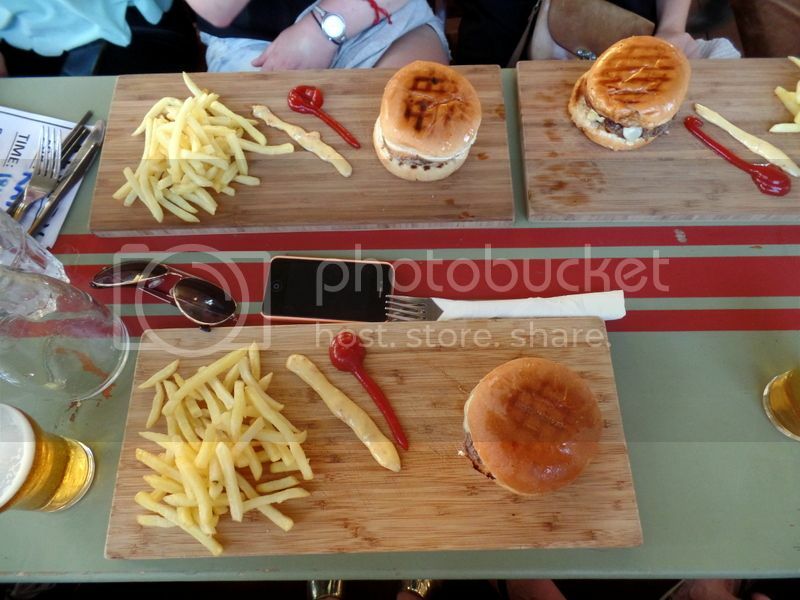 And then the burgers arrived! These amazing burgers look like the burgers in the McDonald’s advertising. 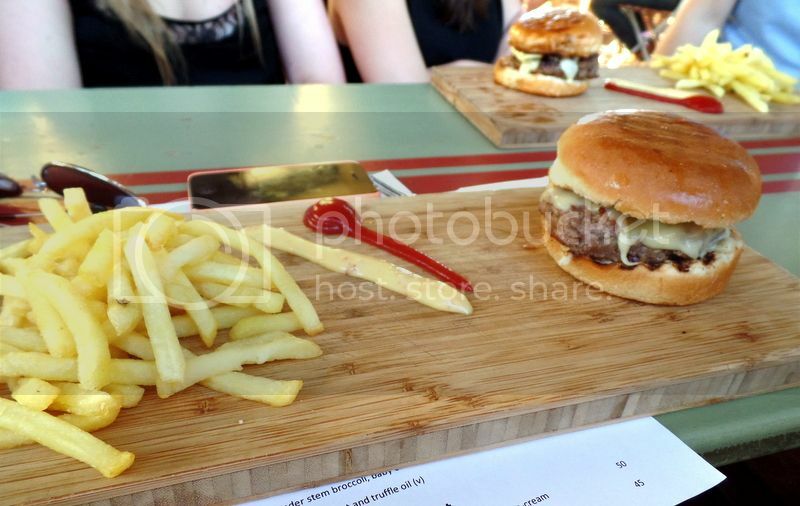 Not like McDonald’s burgers – but the pictures of what they say their burgers looks like! The crispy crunchy skinny fries with lots of salt are delicious and very close to the McDonald’s french fries. The burger is on a soft slightly sweet bun, with a substantial medium rare burger patty and a melted layer of Emmental cheese. This is a traditional cheese burger served just right! 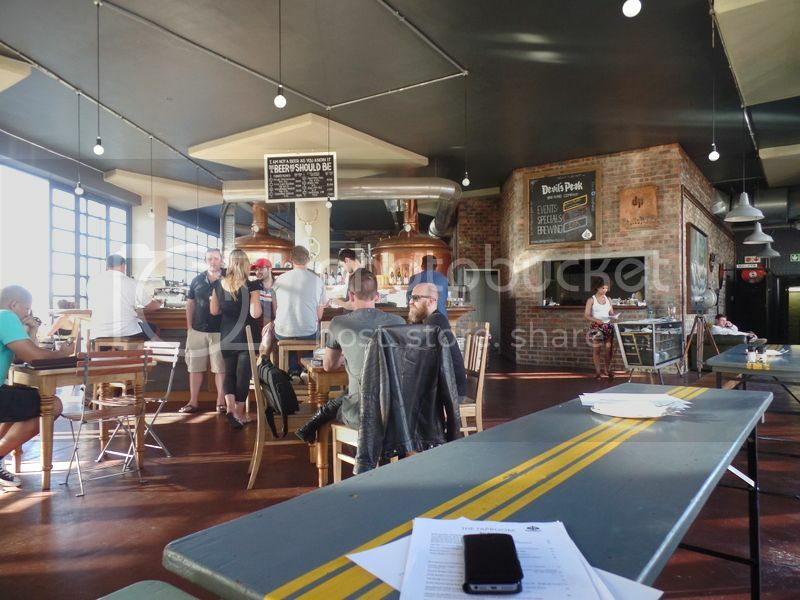 We will definitely be heading back to the Devil’s Peak Taproom! I could seriously go for the Taproom Tuesday special right about now! The normal food menu is also pretty damn tempting with mac and cheese, pulled pork sandwiches, and chicken and waffles on offer! 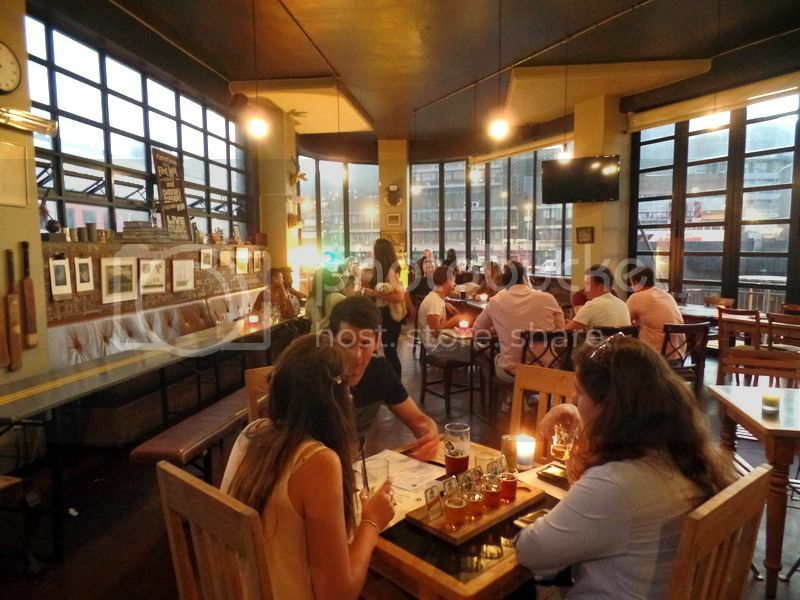 For my next visit I want to try the food and beer pairing board which pairs five of their beers with some seriously delicious bar grub for R120! Opening times: Tuesday to Saturday, 12 til 11pm with the kitchen closing at 10pm.